Now, a word form our sponsor…. 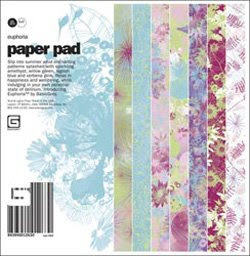 A lot is happening at Paper Garden Projects – a bunch of new products and I’ve added new project samples to the site also. Just in case you want to know – here is the low-down on some of it…. We’ve already talked about the Copics (still 20% off by the way). I’m working an a new tutorial and eyeing some additional colors. All of the Penny Black clear sets are back in stock. 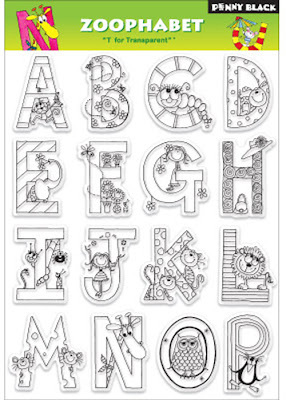 And I added this super cute alphabet. I’m going to use it to make name frames for the girls’ rooms! And don’t you think it would be a cute B-day card if you spelled out someones name? The Basic Grey Euphoria paper pads are in and I added some of the coordinating brads too. Can’t wait to play with this! 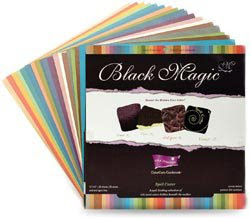 Its the Co’dinations Black Magic paper pack. Its black coated and colored core. When you sand it or tear it the color shows. 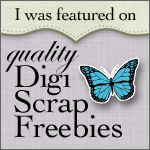 I want to play with this and my cuttlebug folders – too cool. Perfect for Halloween. One last thing – have you seen this? It is awesome, I’m in love with mine already. I know – its just a ruler. But what a ruler! Its crystal clear and has grid markings every 1/8 inch. It has a center zero side and one edge is metal for using with craft knives. Best of all, there is a line of piercing holes! Now I can have perfectly spaced, perfectly straight piercing holes. Yay! OK… back to our regularly scheduled program………….. This entry was posted in Uncategorized on July 31, 2008 by Cathy.